I started playing WNBA fantasy games this summer just for kicks. At $1 a game, I’m not all that invested in the outcomes. But it’s been a great way to learn more about and watch the progress of some of the rising stars in the WNBA. Ironically, one rising star who has caught my eye night after night this summer is an 8-year veteran, Chicago Sky guard Allie Quigley. Allie Quigley scored more than 2,000 points at DePaul. Under first year head coach Amber Stocks, Quigley has started all 24 games she’s appeared in this season after starting just eight of her 168 previous career games. The DePaul alumnus is averaging a career-high 17 points, 3.6 assists and 3.3 rebounds per game. She’s also shooting a career-best 52.9 from the floor and 47.1 percent from three (more than 10 games played). She leads the league in 3-point shooting percentage and is eighth in field goal percentage. She not only made the WNBA all-star team and scored 14 points off the bench, she won the 3-point shooting contest. Seattle’s Sue Bird, who played with Quigley in Seattle back in 2012, was one of the competitors eliminated in the opening round of the three-point contest. She says she picked Quigley to win. “I thought so too,” echoed Diana Taurasi in an interview after the game. Quigley has been kicking around the WNBA since she graduated from DePaul in 2008. 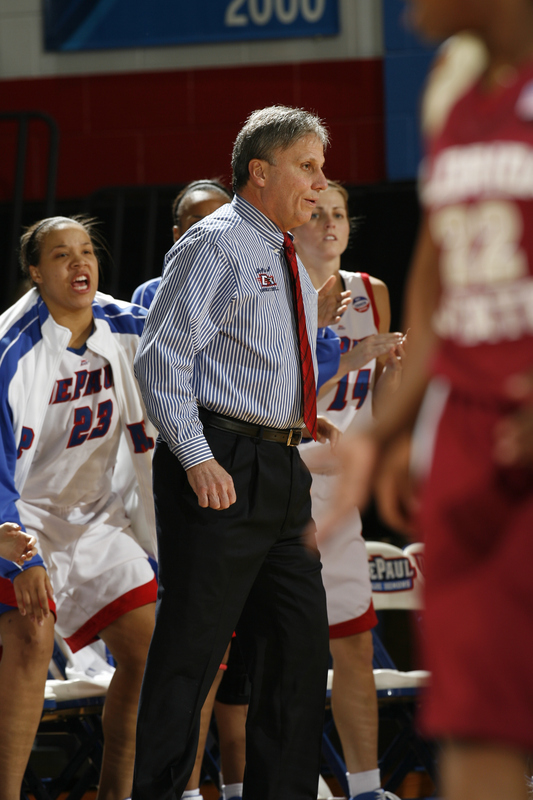 At DePaul, she was one of only four players to reach the 2,000-point plateau. Quigley was selected by Seattle with the No. 22 overall pick in the 2008 draft. She bounced around from Phoenix to Indiana to San Antonio, and back to Seattle, but she only played in a total of 35 WNBA games. Overseas, meanwhile, she enjoyed the most success in Hungary, where she averaged 16 points a game in 2010, 2011 and 2012. After three seasons in Hungary, she applied for and was granted dual citizenship, making her eligible to play for the Hungarian National team in 2012. 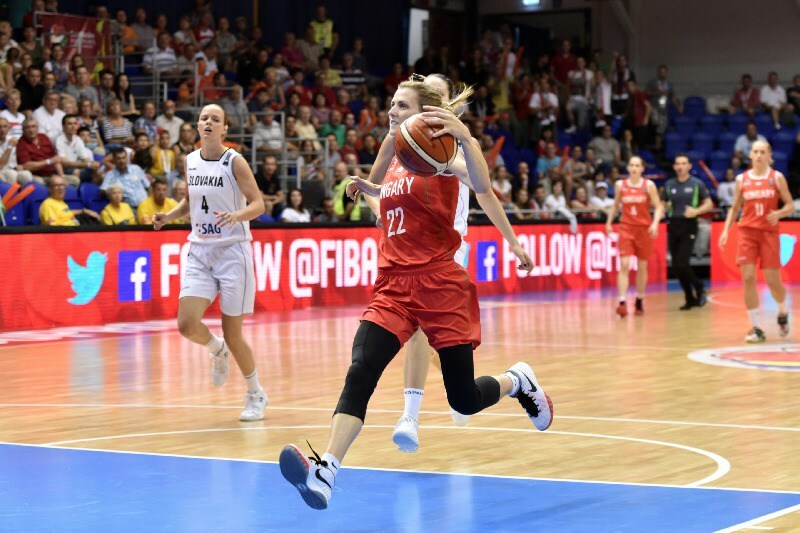 Allie Quigley takes it to the rim in a game for the Hungarian National team. Allie made the Chicago Sky roster in 2013 but rarely started. The 31-year-old’s emergence this season has come at least partially due to the trade that sent Elena Delle Donne to Washington. Delle Donne, one of the most dominant players in the WNBA, formed a back court with Courtney Vandersloot, another formidable guard for the Sky, that made the Sky WNBA playoff regulars from 2013 to 2016. Still, Quigley earned sixth-player awards in 2014 and 2015. In that role, she often influenced the outcome of the game with a stepback three, an off-balance runner in the lane, or a no-look pass for an assist. The Sky certainly do miss Delle Donne, and their current 12-16 record reflects that. But they have gone 8-4 since July 1 and Quigley is one of the big reasons why. Coach Bruno didn’t necessarily predict WNBA stardom, but he certainly isn’t surprised by Quigley’s success. Bruno, who played ball at DePaul with Quigley’s high school coach, Mike Gillespie, had been hearing about her since she was a fifth grader. “She was one of those kids at camp whose ball always goes in,” he recalls of the young Allie Quigley. When it came time to seriously start recruiting her, Bruno recalls that his assistant at the time, Maggie Dixon, wondered if Quigley had the all-around game to play at the Division I level. But Bruno, being a local guy, knew about her basketball pedigree. The whole Quigley clan is legendary around Joliet, Illinois, including her two brothers and her younger sister Sam. Allie’s mother Chris was a “storied athlete” from Joliet, whose number was retired by The University of St. Francis in 1983. Allie’s father, Pat Quigley, died when Allie was 8 years old. He too was a University of St. Francis grad, and the school renamed their basketball court the Pat Quigley court after his death. The family pedigree — and her lights out shooting — convinced Bruno that a 5-10, 140-pound guard could make it at DePaul. Now that WNBA defenders are taking her seriously, Quigley is still shooting lights out, but she’s also finding other ways to help the team. On Aug. 10, she dished out a career-high 9 assists to go along with her 19 points to help Chicago defeat San Antonio. Who is the GOAT in women’s basketball? Many of the tweets and messages were titled or had the hashtag “GOAT” (Greatest of all Time, for those not up on the latest acronyms). Her body of work certainly puts her in that conversation. 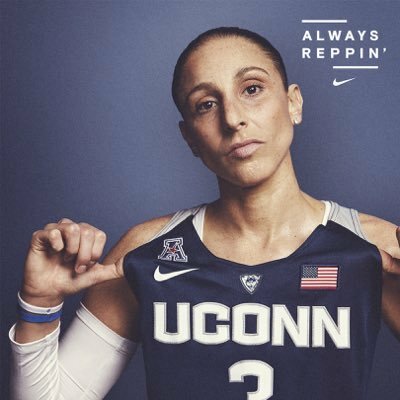 Taurasi was the driving force behind three of UConn’s titles from 2001 to 2004. She has led the Phoenix Mercury to two titles since she was drafted number one in 2004. Before she broke the all-time scoring record, she already owned the top two single-season scoring marks in WNBA history (2006, 2008), the league record for 20-point and 30-point games, and has led the league in scoring a WNBA-record five times (2006, 2008, 2009, 2010, 2011), according to WNBA.com. Taurasi, who turned 35 on June 11, also has three Olympic gold medals. But is she the GOAT? I have no quarrel with the notion that Taurasi is the best player of the WNBA era (which enters its 21st year in 2017). But two players, in my mind, still stand alongside Taurasi as potential GOATS. Yes, the competition wasn’t at the same level as it is today. But Ann Meyers and Cheryl Miller were transformative players in their time (the 70s and early 80s). Their games changed and evolved as competition increased after the passage of Title IX, and they each took women’s basketball to heights unseen and unheard of before they came along. If you go back and read magazine and newspaper headlines from those years, you’ll see how they both made people outside of women’s basketball sit up and take notice and (sometimes grudgingly) admit that there was something to this women’s game. Both Meyers and Miller are Olympic medalists. They are also both in the Naismith Memorial Hall of Fame and the Women’s Basketball Hall of Fame. I have no doubt that if they played today, they’d still be heads above their competition. Miller led the University of Southern California to back-to-back NCAA titles in 1983-84, and was a three-time Naismith Award winner — a distinction no other college female could claim until Brianna Stewart came along in 2014. In 1986, Sports Illustrated named her the best male or female player in college basketball. She scored 3,018 points for a 23.6 career scoring average, and she averaged 20.8 points, 10.6 rebounds, 3.9 assists, 3.2 steals and 2.3 blocks in 16 NCAA Tournament games. She was a two-time Final Four Most Outstanding Player and still holds the tournament records for field-goal percentage (79.4, 121-for-245) and most free throws made (91). She also was the driving force behind the US Olympic team’s big win at the 1984 Games in Los Angeles. Ann Meyers played before the introduction of the Naismith Awards for women. But she also had a stellar college career, won an Olympic silver medal, and can boast of a number of firsts in women’s basketball. 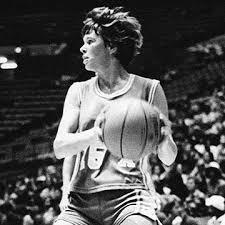 She was the first player to be offered a full scholarship after the advent of Title IX (by UCLA in 1974), the first woman to be signed to an NBA contract by the Indiana Pacers in 1980. (She failed to make the team after a three-day tryout). And she was the first player selected in the Women’s Professional Basketball League draft in 1978 — where she was league MVP for the 1979-1980 season. So who’s the GOAT in women’s basketball? Taurasi is the latest, but not necessarily the greatest of all time. I’d prefer to honor all three womens basketball pioneers as superstars who took their sport to the next level. So, let’s celebrate Taurasi as the greatest of this time and let’s also remember the greats who paved the way for her. All week I’ve been kicking myself for not going to Dallas for what was a truly historic women’s Final Four. Sure, our flat screen TV gave me an up close view of Morgan Williams’ buzzer-beating shot that dethroned UConn. But to revel in the excitement of what turned out to be two watershed moments in women’s basketball history would have been amazing. Otherwise, here are my reflections from afar on this year’s Division 1 NCAA tournament. I don’t subscribe to the “UConn was bad for women’s basketball” philosophy. But you have to admit that watching games in which the outcome is still in doubt in the fourth quarter is a lot of fun. Apparently, lots of others thought so too. According to an NCAA press release, the audience for the final game was 20 percent higher than last year’s and the number of people streaming the game doubled from a year ago. The Women’s Basketball Coaches Association invited 61 graduating female players to a workshop during their convention last week titled, “So You Want to Be a Coach.” Obviously, the WBCA is concerned that there aren’t more women coaching college women. 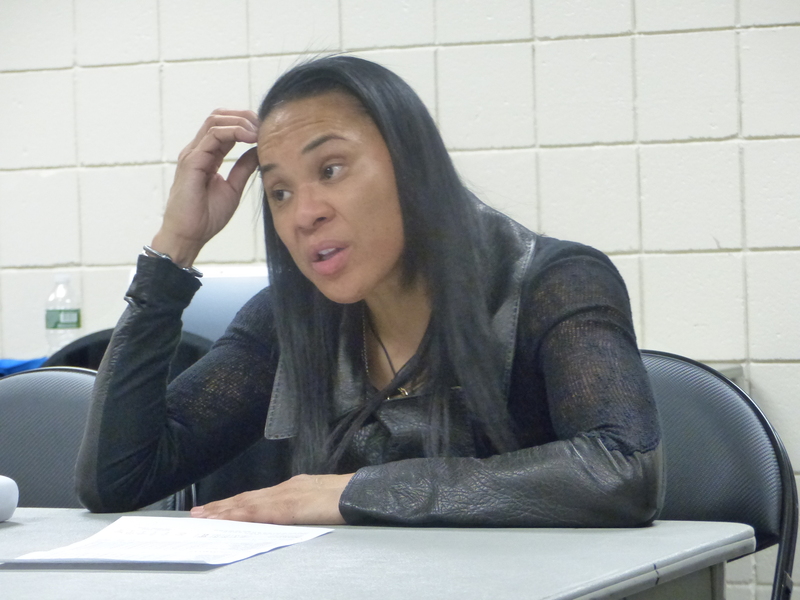 Dawn Staley’s leading USC to the women’s Division I championship is likely to have more of an impact than any workshop could. Staley has been a pioneer and a game changer since her days as a point guard at the University of Virginia. The fact that she’ll be coaching the U.S. Olympic team in 2020 will also give her the opportunity to be a more public role model and spokesperson, some would say, in the mold of Pat Summitt. I was initially quite critical, but now I’m thinking that Vic Schaefer’s decision to keep Mississippi State’s “itty bitty” Morgan William on the bench in the final quarter of the championship game might have made sense. I don’t know the whole story, of course. But if she was completely spent from Friday night’s overtime win over Connecticut and all the subsequent media attention, the change was warranted. Maybe Schaefer deserves kudos for going with his gut — I still don’t think William would have hurt their chances, but I also don’t think USC was going to be denied their championship. South Carolina is on top of the women’s basketball world, but the Gamecocks still haven’t beaten UConn. Will they lack “street cred” in the minds of some potential recruits until they do? There are lots of good reasons for playing for Geno Auriemma. But I know I’d rather play for Dawn Staley. She seems to have a great basketball mind, the ability to get her players all on the same page, and the sense to surround herself with winners when it comes to her coaching staff. She also emphasizes the building of relationships in the Pat Summitt mold. I loved seeing her wearing her ball cap, dancing it out, sticking out her tongue, and just generally enjoying the moment after USC’s victory last Sunday. Next year’s tournament is in Columbus, Ohio, hosted by Ohio State. A limited number of tickets are already on sale, but you will soon be able to register to be notified when the bulk of them go on sale next fall. No regrets next time! When Mississippi State and South Carolina tip off tonight in the NCAA Division I National Championship in Dallas, lots of fan may not have decided which team to root for. 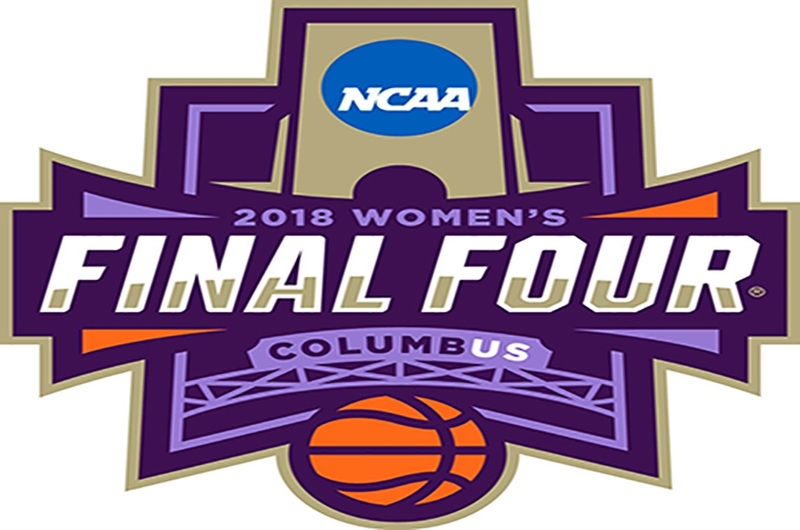 Some will say that women’s basketball is the victor no matter who wins just because UConn will not be vying for its fifth title in a row. Even South Carolina coach Dawn Staley voiced that sentiment in her pre-game press conference yesterday. 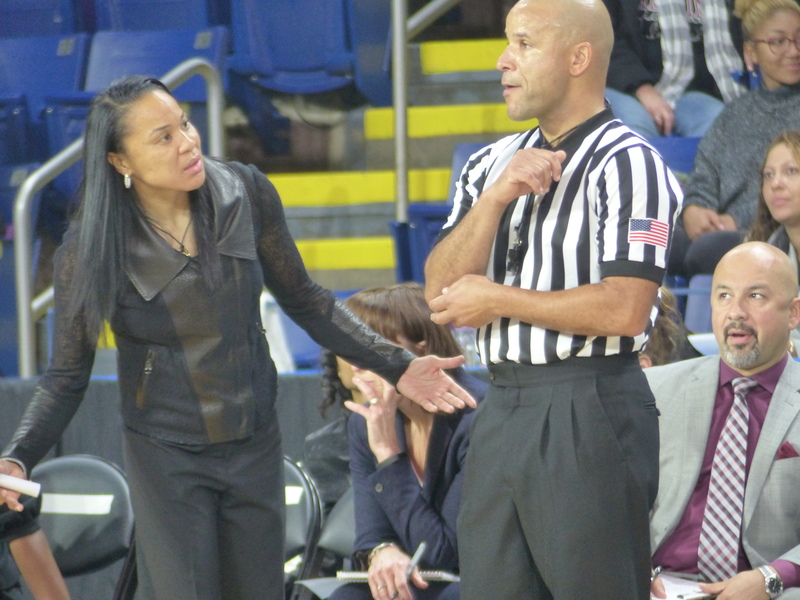 “Sometimes we lose sight of how good women’s basketball is because of UConn’s dominance… it takes UConn’s losing to appreciate what’s taken place (in the women’s game) over the past few years,” she said. Staley went on to describe how hard she and other top tier programs have worked to create the “layers below what UConn has been able to do over the past decade.” When you’re up against a juggernaut like Connecticut, after all, it’s tough to compete for recruits, for attention, and for the hearts and minds of women’s basketball fans. 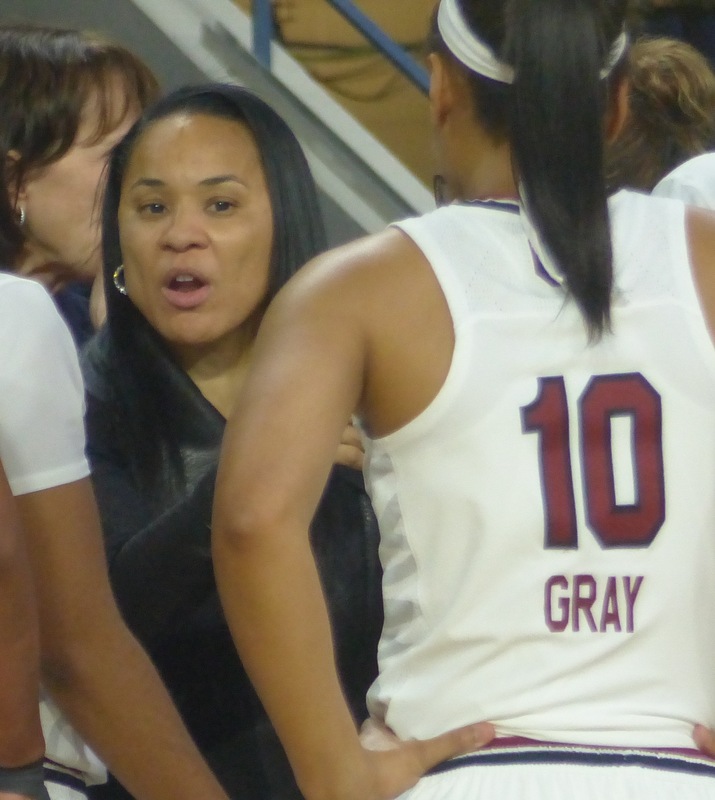 Staley’s done a masterful job of getting South Carolina to the national stage, poised for a championship, in her nine seasons as coach of the Gamecocks. She took over a program in 2008 that was an SEC also-ran (because of Tennessee’s dominance). The program slowly but surely improved every year, but things really started taking off in 2012, when the Gamecocks beat Tennessee for the first time in the program’s history and made it to the Sweet Sixteen of the NCAA tournament. Staley credits the signing in 2011 of homegrown talent, Aleighsa Welch, with starting the turnaround. Welch, who graduated in 2015 and was drafted by the Chicago Sky of the WNBA, was a force inside, but more importantly, helped change the team’s culture. Three years later, high school player of the year A’ja Wilson, who lives 13 miles from the SC campus, chose Staley’s program over Connecticut and Tennessee. Last year, Allisha Gray, whom Staley calls “the silent assassin” transferred from North Carolina. That vision matured in 1996 when she was a member of the U.S. Olympic team under the tutelage (or maybe thumb is a better word) of Coach Tara Vanderveer. Now Staley, who will be the head coach of the U.S. Olympic team in 2020 (replacing Geno Auriemma), is hoping to assume the mantle of head coach of a national championship team. To make that happen, South Carolina must defeat a team on a tremendous roll — and one that is also on a tremendous high. In Mississippi State’s historic upset Friday night, the score was oh so close, but the Bulldogs dominated UConn rebounding-wise. South Carolina has an All-American on the inside to compete with 6-7 Mississippi State center Tiara McCowan on the glass. 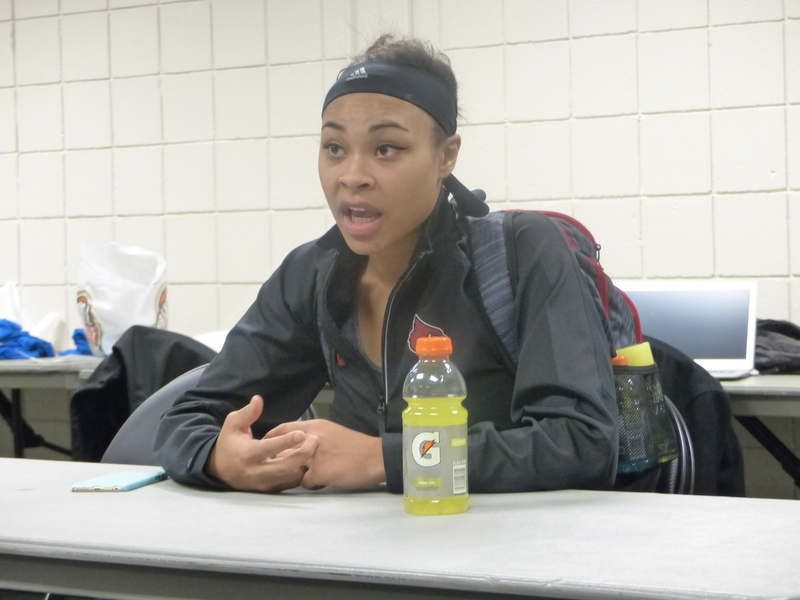 “We’ve gotta find a way to keep A’ja on the floor” and out of foul trouble, Staley admits. 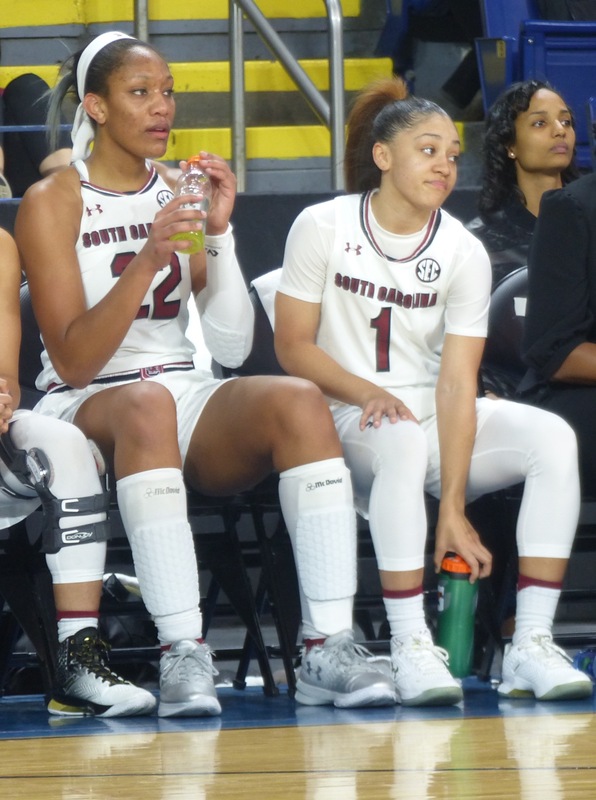 For South Carolina to win, A’ja Wilson, left, and Bianca Cuevas-Moore, right, can’t be doing too much sitting. 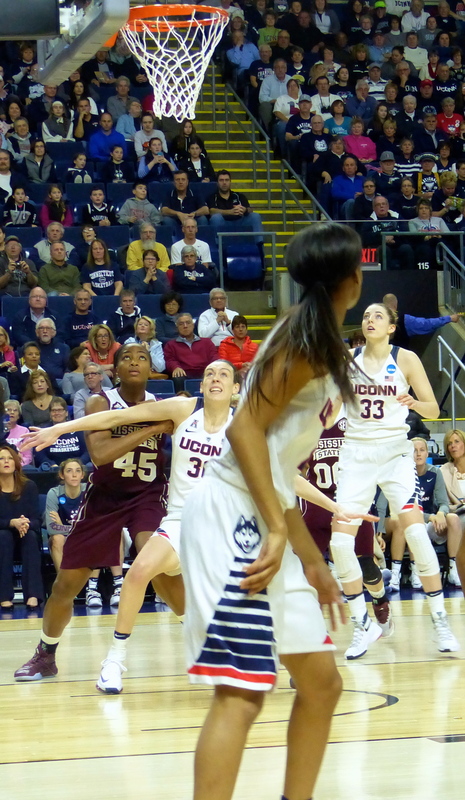 It was late in the third quarter and it looked like Connecticut may have righted the ship against Mississippi State. Its defensive intensity had picked up and the Huskies’ zone defense was forcing the Bulldogs to hang onto the ball too long, unable to get an open look from the outside, or to get the ball inside to their 6-7 center, Teaira McCowan. The predominantly Huskies crowd — that had watched UConn go down by 16 in the first quarter but then outscore Mississippi State in the third –was hopeful. Stewart slapping her knees in frustration and looking around as if to say, “This shouldn’t be happening.” But it was happening — and there was nothing Stewie could do about it. You know by now that the game went into OT, where William hit the shot heard round the basketball world to win the game as the buzzer went off. Pundits are calling it the biggest win in women’s basketball ever! And certainly, the revenge was sweet. Having lost last year to UConn by 60 in the Bridgeport regional Sweet Sixteen game, Mississippi State provided the unequivocally perfect end to UConn’s 111-game win streak. After last year’s humiliating loss, Mississippi coach Vic Schaefer had said of UConn, “They are like piranhas at a roast. You can’t get that bone out of there fast enough.” But it was principally Breanna Stewart he was talking about. 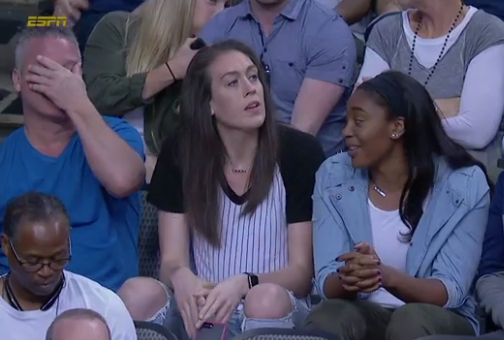 Breanna Stewart ended her Huskies career last April by leading UConn to its fourth championship in a row. She was the Final Four MVP in each of her four years at Connecticut. She finished her Huskies run on a 75-game winning streak, but even before her college career ended, Geno Auriemma began contemplating the end of UConn’s streak. “Right now at this point in time, everything that she does, it hits me a little bit harder because I know I’m never going to see this again,” he said after the rout of Mississippi State last March. That Connecticut won 36 more games without Stewart is a testament to Auriemma’s ability to get the most out of a young, mostly untested team that he admitted didn’t really have an identity. To their credit, UConn rallied from a 16-point deficit, its biggest during its NCAA record streak, to take a 59-56 lead in the fourth quarter. And yes, UConn junior Gabby Williams came up big, with a (Stewie-esque) block with the score tied to send the game into overtime. But she and her teammates fumbled and stumbled, missed key free throws, and made bad decisions with the ball as the clock wound down, especially in overtime. They were ripe for this upset because they were, in many ways, rudderless. When William (aka”itty bitty”) hit her shot to win the game for Mississippi 66-64, all Geno could do was smile. I half expected him to look up into the stands to catch Stewart’s eye. I’m not saying the Huskies can’t win any more championships. The UConn players will be watching the tape of this game a few times before next season starts, I’m sure. Duke’s 6-6 center, Azura Stevens, who sat out this year after transferring to UConn, (and would have been a big help last night) also will be on the court next year. By all accounts they have one of the best recruiting classes they’ve had, well, since they recruited Stewart. 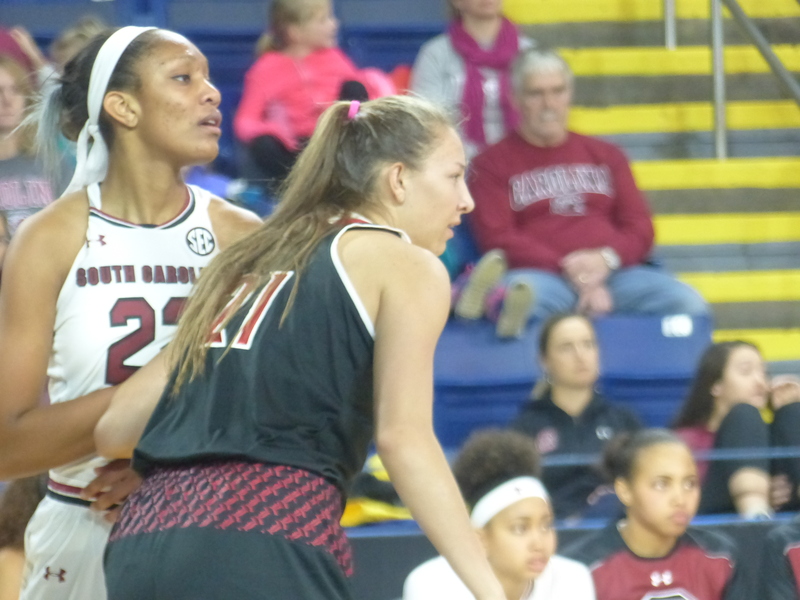 South Carolina’s A’ja Wilson, left, will be going up against Mississippi State’s 6-7 center on Sunday night for the national championship. Meanwhile, Mississippi State will be hoping to knock off their third number one seed Sunday night in the National Championship game against South Carolina. It’s a rematch between two powerful Southeastern Conference teams. Though South Carolina won their two meetings during the regular season, the outcome is by no means assured. I’m guessing lots of people will tune in just to see who the first winner of the post-UConn-juggernaut-era will be. I know some fans (including me) who didn’t go to Dallas this year because they couldn’t see spending that much money to watch another blowout. Now that the sea has parted, (or until UConn figures out how to replace Stewie), it’s going to be fun to see what parity might mean for the women’s game. Eckie, on the right, was a sure-shot and a playmaker. She also played hard-nosed defense. When 5-2 Eckie Jordan walked in for her tryout with Hanes Hosiery’s women’s basketball team, back in 1948, the coaches were a bit underwhelmed. But once she started playing, they realized why she’d come so highly recommended. Yes, she was short, but she was quick, and tough, and a sure shot from the outside. In the next five years, Eckie was the playmaker for the Hanes Hosiery Mills Girls Team. In that time, they won three AAU national titles, which included a 102-game win streak. 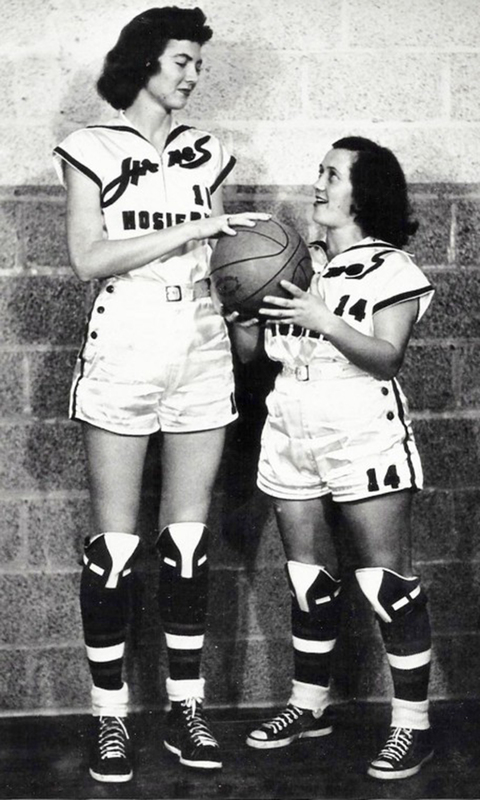 She was a perennial all-star and team MVP, despite the presence of other talented (and taller) players on the team. Eckie Jordan, right, with her best friend and teammate, Eunies Futch. Jordan passed away last Saturday at the age of 91 after several years of failing health. 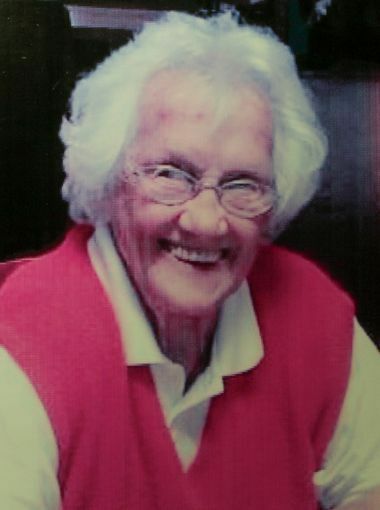 At a service held in her honor Tuesday morning in her home town of Pelzer, South Carolina, her family displayed many of the photographs, programs, medals, and trophies she’d earned during her playing days. Included in the collection were the uniform she wore and the medals she won at the Pan Am Games in Mexico City in 1955. 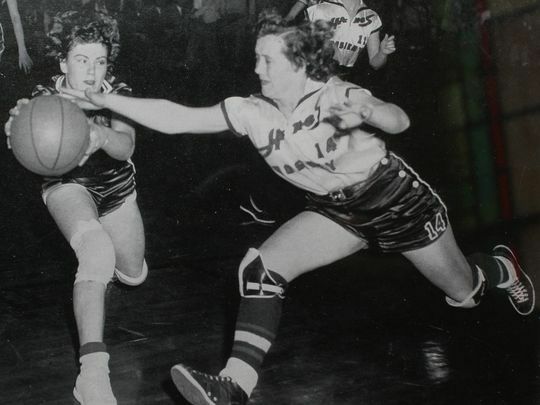 It was the first time women had been allowed to play basketball at this international tournament and Eckie was one of the AAU amateur all-stars selected to play on the team. (Her best friend and teammate, Eunies Futch, was also selected. 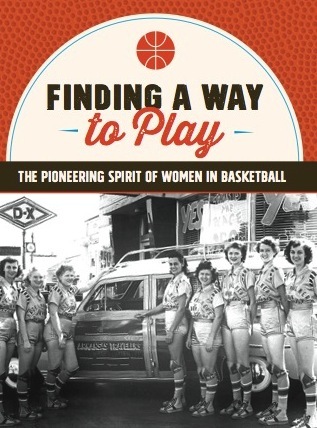 Back in 1999, when I interviewed Eckie for my first basketball book, she described how thrilled she was to march into the stadium, a representative of the country she loved and the sport that had been her passion since she was a little girl. The U.S. won that round-robin tournament with a record of 8-0. After two close games against Brazil and Mexico, the U.S. team found its footing and won the rest of its game by margins of 20 or more. 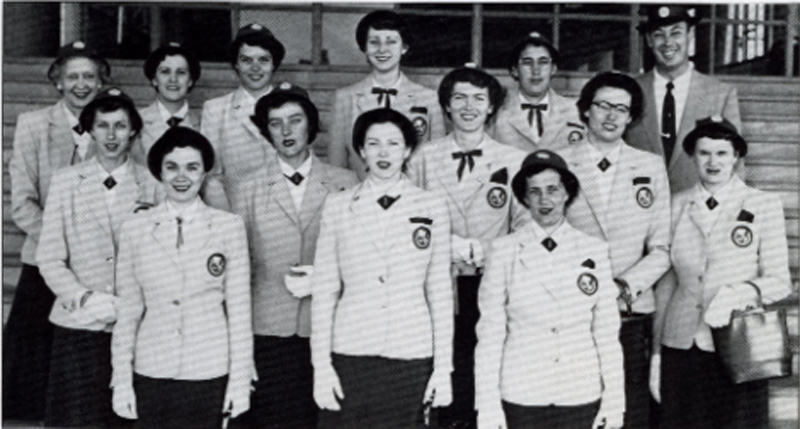 The U.S. team that competed in the Pan Am Games in 1955. That’s Eckie on the right, in the front row. Hanes had disbanded its company team the year before (breaking the hearts of Eckie and the other women who lived and worked to play), so that made the Pan Am Games the capstone of Eckie’s long and storied basketball career. I called Eckie two years ago in hopes of interviewing her again for my most recent book. Sadly, she wasn’t well enough to come to the phone, but she did give me permission to use the family photos you see here. 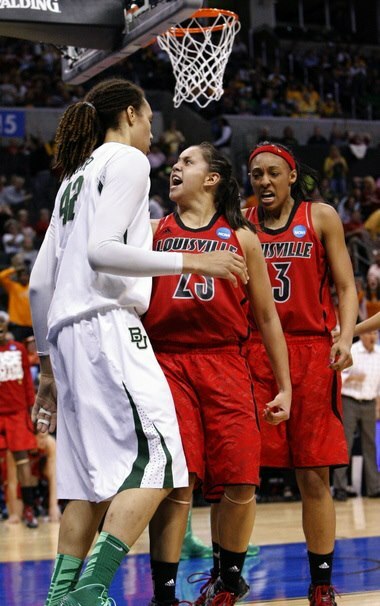 Shoni Schimmel led Louisville to the upset win against Baylor four years ago. On Friday night, all eyes will be on the Oklahoma City Region matchup between #4 Louisville and #1 Baylor. The Lady Bears will be seeking revenge for their loss to Louisville in their Sweet Sixteen game in the NCAA Division I Women’s Basketball tournament in 2013. It was Britney Griner’s senior year and, if anyone could beat the juggernaut that was (and still is) UConn, people were betting on Baylor. Baylor had routed most of the teams it faced in 2013, losing only to Stanford by two early in the season. The Lady Bears had a 33-1 record coming into the Sweet Sixteen game against Louisville in the Oklahoma City regional and were looking ahead to a match-up with Tennessee. But Baylor hadn’t counted on Shoni Schimmel, the Cardinals gutsy Native American guard, who grew up playin Rez ball on the reservation of the Confederated Tribes of Umatilla in Oregon. Shimmel was the first from her tribe to earn an athletic scholarship, and she fit right in with the run-and-gun style Coach Jeff Walz liked to play. But it was her three-point shooting that helped Louisville take a 10-point lead at the half (along with their dogged double teams on Griner). Schimmel helped increase the lead to 19 points in the second half with another three-pointer and a highlight-reel drive from one end of the court to the other. The drive featured a behind the back dribble at halfcourt and a no-look, leaping, lay-up with her back turned to the basket and with Griner’s hand swatting at air. Schimmel fell to the floor but popped back up to face Griner underneath the basket. Teammates intervened and Schimmel made her free throw to make it 64-48. Just how vital Schimmel was to the victory became apparent when she fouled out at the four-minute mark — after scoring 22 points. Baylor came clawing back and actually went ahead with nine seconds left. But two foul shots by Louisville sealed the one-point victory. 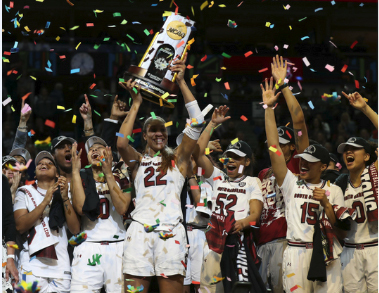 Louisville went on to beat Tennessee and California to set up its meeting with Connecticut in the championship game at the NCAA Division I Women’s Basketball Final Four in New Orleans. That the magic ended for the Cardinals that night (Connecticut won by 33), doesn’t diminish what the team accomplished. 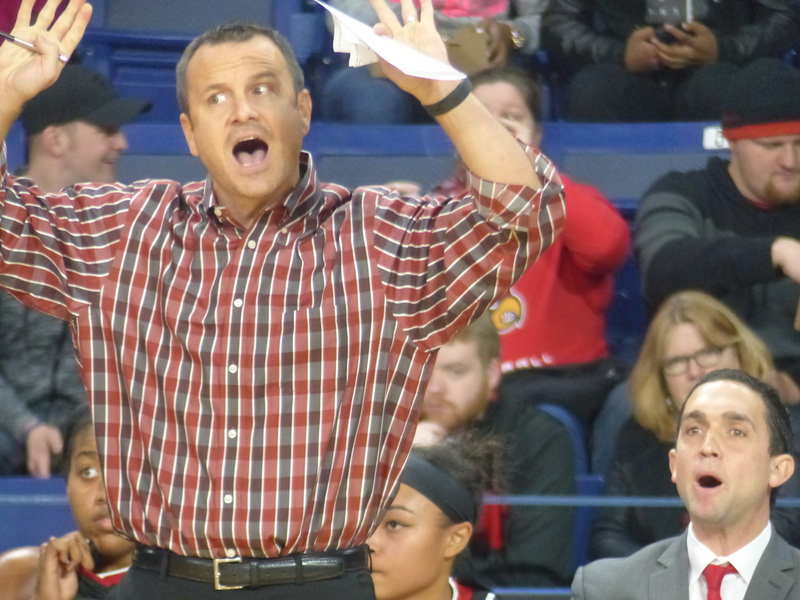 This is Louisville Coach Jeff Walz’ seventh Sweet Sixteen in the 10 years he’s been coaching Louisville. It would be his team’s fourth trip to the Elite Eight if the Cardinals knocked off Baylor. Can they do it again? It might depend on the exploits of Louisville’s 5-10, sophomore guard Asia Durr, who writes with her right hand and shoots with her left. Durr, who had Baylor on her short list of schools to consider two years ago before choosing the Cardinals, is leading the team in scoring with 19 points a game. As tough to guard as Schimmel was, she can explode to the hoop off the dribble or pull up beyond the arc where she’s shooting 40 percent on three-point shots. 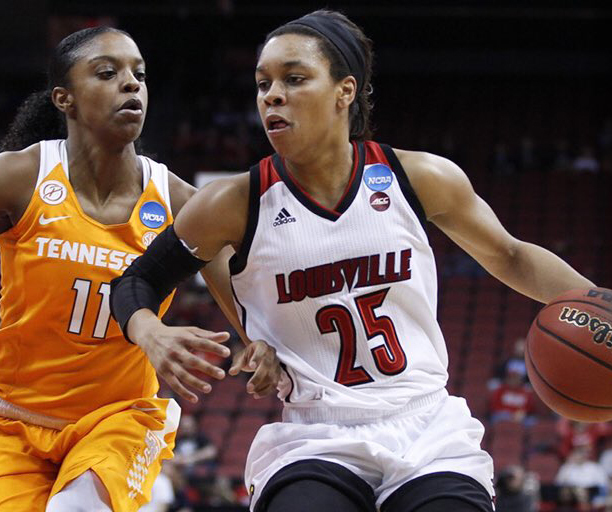 Ice cold in the first half against Tennessee, she heated up in the fourth quarter to lead Louisville to their 75-64 win in the round of 32. Durr ended up with 23 points. Louisville’s 6-0 junior Mariya Moore picked up the slack against Tennessee before Durr heated up. With Louisville trailing 47-46 entering the fourth, Moore scored eight points to get Louisville a lead that would last. She ended up with 19 points, seven more than her season average. Meanwhile, Baylor’s potent offense has four players who routinely score in double figures: Kristy Wallace , Alexis Prince, Nina Davis and 6-7 sophomore post Kalani Brown. Wallace and Prince scored 16 points each, leading Baylor to the Sweet 16 for the ninth year in a row after an 86-46 win over California on Monday night. Baylor coach Kim Mulkey is likely spending the week getting ready to defend Louisville’s rain of threes. Three-pointers did the Lady Bears in two weeks ago against West Virginia in the Big-12 Championship game. The loss snapped the Lady Bears’ seven-game winning streak, but it might have been the wake-up call the Bears need to withstand another upset-minded Louisville team.